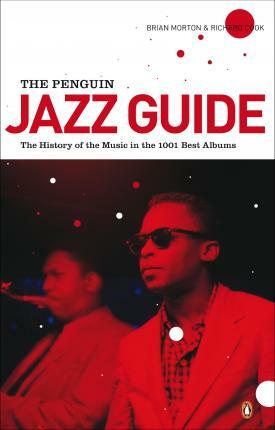 Richard Cook and Brian Morton's Penguin Jazz Guide: The History of the Music in 1001 Best Albums is an indispensible guide to the recordings that every fan should know. Brian Morton is a freelance writer and broadcaster who for many years presented Radio 3's jazz magazine Impressions and In Tune. Richard Cook (1957-2007) was formerly editor of The Wire and edited Jazz Review. He contributed to many other publications, including the New Statesman and his books included Richard Cook's Jazz Encyclopaedia and It's About That Time: Miles Davis on Record. Brian Morton is a freelance writer and broadcaster who for many years presented Radio 3's jazz magazine Impressions and In Tune. He has also broadcasted extensively on BBC Radio Scotland. Richard Cook (1957 - 2007) was formerly editor of The Wire and edited Jazz Review. He contributed to many other publications, including the New Statesman and his books included Richard Cook's Jazz Encyclopaedia and It's About That Time: Miles Davis on Record.